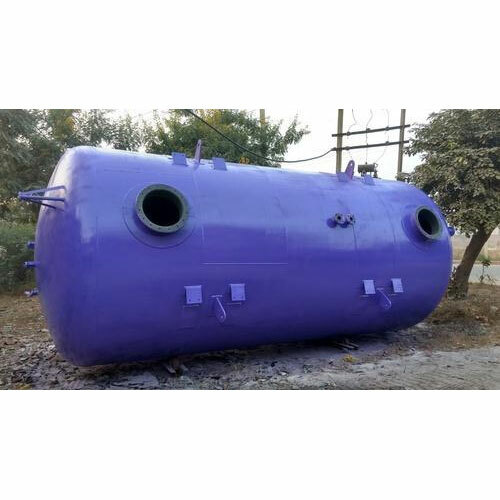 We are offering a wide range of Industrial Tanks such as Air Receiver Tanks, Underground Storage Tanks, Transportation Tanks, Storage Tanks, Hydropneumatic Tanks, Chlorine Tanks, Boiler Blowdown Tanks etc. having various application in storage and others.. Underground Storage Tanks are used for storing hazardous and flammable products such as Petrol, Diesel, Furnace Oils, Solvents etc. as due to safety reasons they are not stored in overhead tanks. We also provide coatings of coal-tar as a mean of anti corrosive coatings on the tanks. The multiple layer thick coating is cured to form a strong, continuous sealed and laminated surface, which completely protects the Underground Storage tank from corrosive environment underneath. Chemical Storage Tanks are used for storing a range of chemicals and alkalis, oxidizing agents etc. according to the chemical properties of the chemicals. Various types of linings such as Rubber Lining, FRP Lining, PP Lining are also offered by us for protecting the Chemical Tanks from corrosive nature of the chemicals. Various Chemicals such as Caustic Soda, Alum, Toluene, Benzene, Ammonium chloride etc. 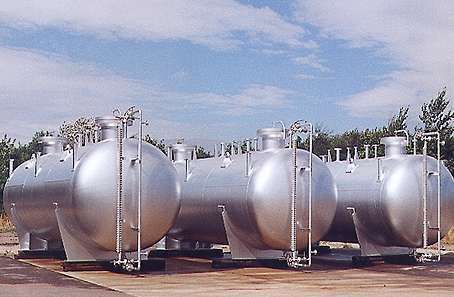 can be stored overhead or underground in these Chemical Storage Tanks. We manufacture tanks used for storing and transporting Cement and Fly-Ash in plants. The design of these tanks is different from other tanks as the product is Dry Powder which doesn’t flow easily, that’s why the tank has a Conical bottom and the powder is pushed out by an Air Compressor. These tanks are mounted on trucks to transport Cement/Fly-ash to other industries where it is used as a product in their manufacturing process. 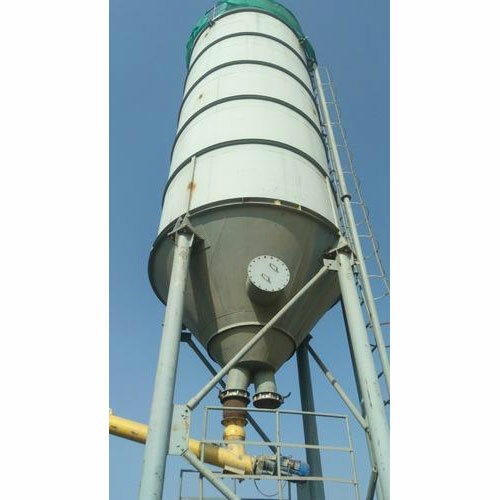 Silos are vertically designed vessels with legs and conical bottom used for storing materials that are emptied with the help of gravity for easy discharge. 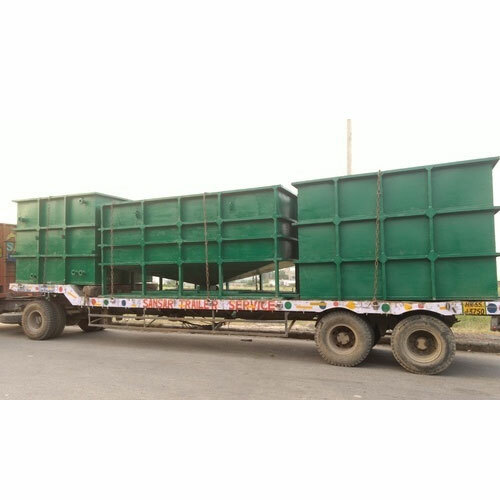 These Silos are used in construction sites for Cement and Fly-ash storage, Coal Handling, Agro industries, Food & Beverages for Bulk Storage of material with different bin bottom designs available depending on the flow properties of the material. Rubber Lined Pipes are used for transferring corrosive liquids/acids from storage tanks to endpoint use in the plant. The Fluids are of corrosive nature thus we provide Anti-corrosive Rubber Linings of varying thickness in the pipeline to prevent corrosion of pipes. 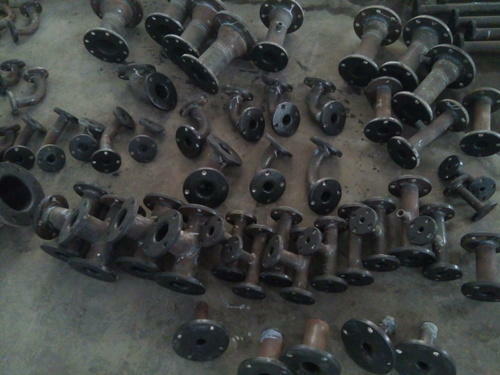 The applications of these Rubber Lined Pipes are in various industries: Power Plants, Refineries, Gas Plants, Chemical and Acid Industries etc. 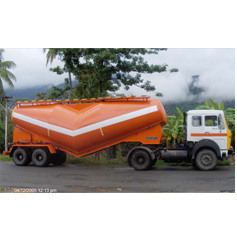 We offer a variety of Transportation Tanks which are used for carrying various liquids like Acids, Oil, Chemicals, Water on trailers/trucks. 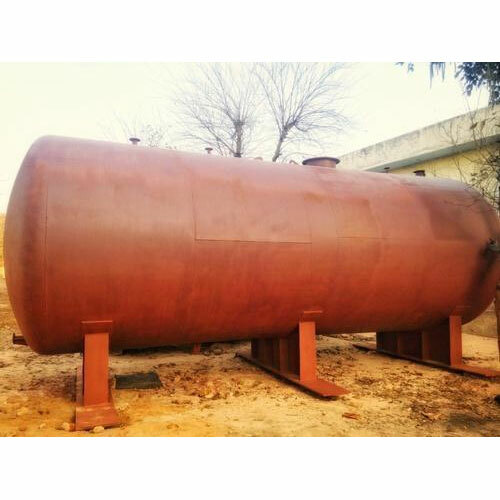 Our range consists of all kinds of standard as well as customized tanks to meet the requirements of the clients. We design, fabricate and install custom hazardous pressurized and non-pressurized tanks based on the customers needs since the contents have some degree of hazard associated with it. It is recommended to take all the requisite precautions to make sure that the tank contents and the material surface of the tank do not react with each other. To provide complete protection to the tanks from corrosion or any other reaction we offer anti-corrosive linings of Rubber inside the tank surface or Epoxy painting. We offer Horizontal type Hydropneumatic Tanks, which contain both water and air under pressure. The compressed air in the tanks acts as a cushion that can exert or absorb pressure as required. The air is absorbed into the water hence to replenish the air volume periodically a small air compressor may be used. These tanks help regulate proper system pressure range, both necessary for the efficient operation of a water supply system. They are widely used in large capacity pumping systems as Buffer Tanks and are also used in water systems and fire protection systems. 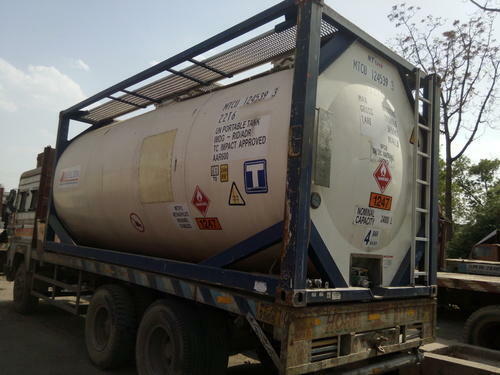 Shipping Tanks have Horizontal orientation and are used for transporting Oil, Chemicals, Acids on Ships as they are designed as per the shipping container size and specifications thus making them easily transportable by sea and rail. Shipping Tanks are cylindrical horizontal tanks encased in a channel frame which is welded to the tank and the structure is such it is easily handled at the port by crane for loading and unloading of the tank. The Aesthetic design of these tanks makes it look beautiful other than adding structural strength and handling possibilities to the tank. Boiler Blowdown Tanks are used to control blowdown of a boiler so that the level of dissolved solids is minimized to reduce scaling in the boiler. These boiler blowdown tanks also enable high-pressure water to safely flash to steam. The amount of blowdown necessary depends on boiler operating pressure, amount of makeup water, impurity levels in the makeup water, and the dissolved solids concentrations that a given boiler can tolerate. The process of removing this water is referred as Boiler Blowdown. As blowdown water has the same temperature and pressure as the boiler water, local laws usually do not permit this high temperature and pressure water to be discharged into the sewer. An acceptably designed blowdown tank system reduces the temperature by mixing cold water with the effluent. 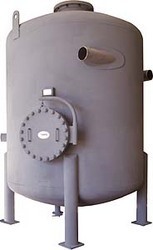 A properly designed Boiler Blowdown Tank has a capacity of not less than twice the volume of the boiler water so that the boiler can be blown down completely without any restriction.Improper blowdown can cause increased fuel consumption, additional chemical treatment requirements and heat loss. We provide a wide variety of Chlorine Tanks that are used with chlorine injection system to comply with drinking water standards. They are useful as they are able to retain the water in order for it to be in contact with the chlorine added for disinfection. The tank is specially designed according to the working pressure of the existing or new water distribution system. The various factors that determine the size of the tank include site restrictions, available pumping rate and a minimum required chlorine contact time. The tank consists of an inlet from one end and an outlet on the opposite end with the water flowing through a zigzag maze of internal baffles to lengthen the path water travels before it leaves the vessel. This long path ensures full chlorine/ water mixing, a sufficient contact time between the micro-organisms, and an optimum use of chemicals for a specific period of time. We offer these tanks with different linings of epoxy or polyurethane, which are suitable for the storage of potable water. We offer a variety of Storage Tanks (Horizontal & Vertical type) which are ideal for the storage of a wide variety of liquids. These are available in variety of materials such as carbon, stainless steel and mild steel, which makes them suitable for storage of flammable and combustible liquids, aviation fuel, oil, water, dyes etc. 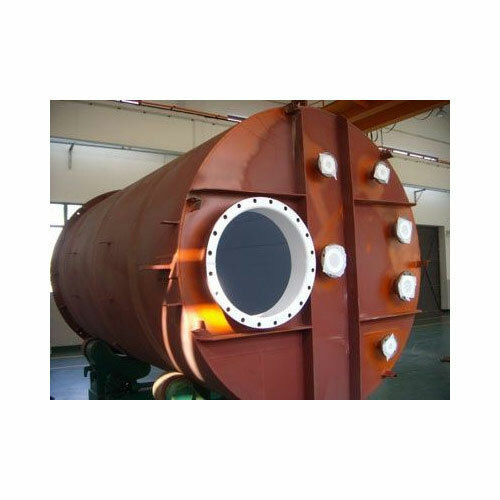 The tanks are fabricated in single-wall, double-bottom (flat end or dished end) construction. To accommodate the preferred finish coat specifications of the clients, we offer special surface preparation and primers. 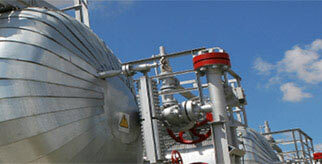 Special linings are also available for storage of corrosive liquids such as fertilizers, chemicals, acids, etc. Other options offered by us include coned top, coned bottom, legs, ladders, cages, handrails, gaug­ing systems, heaters, flame arrestors, sumps, sight glasses and flanges. 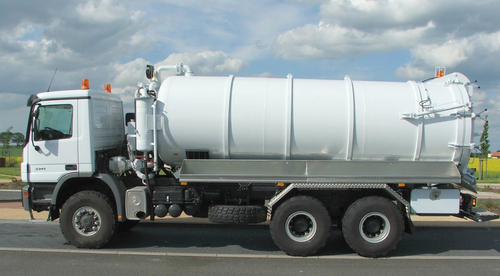 We offer a variety of Transportation Tanks which are used for carrying various liquids like Acids, Oil, Chemicals, Water, etc. on trailers/trucks. 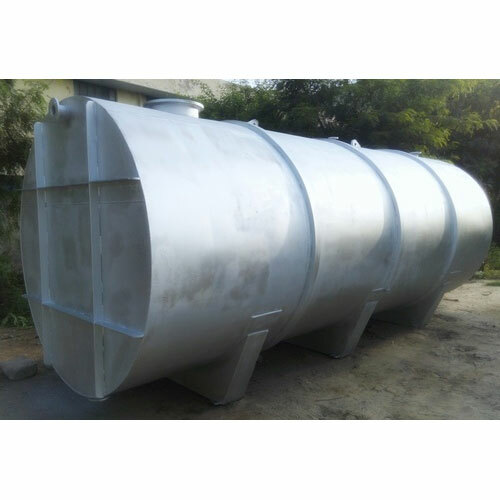 Our range consists of all kinds of standard as well as customized tanks to meet the requirements of the clients. 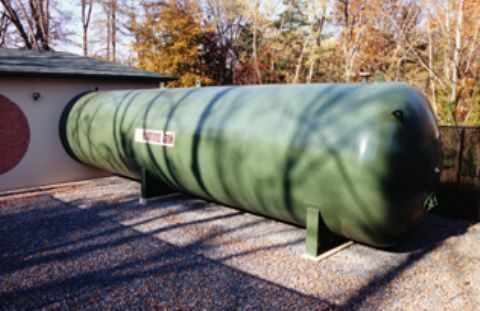 We design, fabricate and install custom hazardous pressurized and non-pressurized tanks based on the customer’s needs since the contents have some degree of hazard associated with it. Pickling Tanks & Electroplating Tanks are used for storing Acids, Chemicals or Molten Metal at high temperature for applications requiring dipping of the product into these tanks for cleaning and providing a coating on the product. Zinc Plating, Tin Plating, Chrome Plating, Electroplating are all done by submerging the product in these tanks. These tanks are Rubber Lined or PP Lined to prevent corrosion due to acids and chemicals stored in them. ETP/STP Tanks are used in Effluent Treatment Plants and Sewage Treatment Plants which are installed in Societies, Hotels & Industries. As adulterated water cannot be discharged otherwise, water is treated chemically in these Plants for using it again for different purposes like gardening, washing, toilets etc. These ETP & STP Tanks are either Rubber Lined/ FRP Lined/ PP Lined to prevent the tanks from corroding due to adulterated water stored in them. 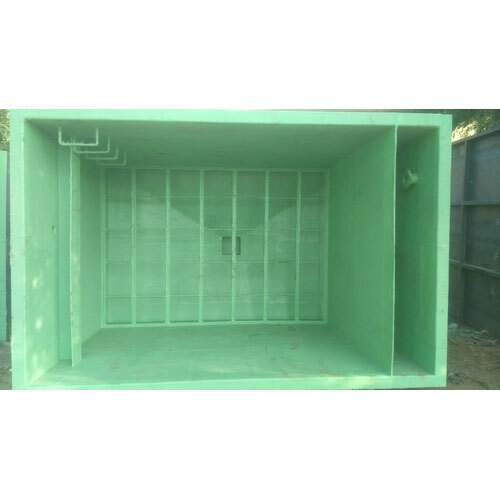 PP(Polypropylene) Tanks are used for storing chemicals, alkalis, water in industries as an alternative to Mild Steel tanks. These PP tanks are manufactured in all shapes & sizes round, cylindrical, rectangular, vertical, horizontal. 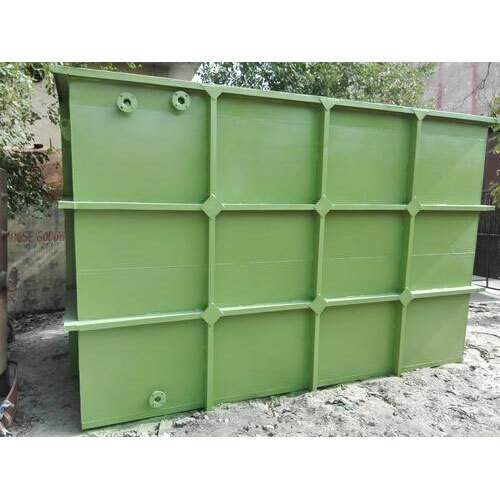 Polypropylene Tanks are lighter in weight, have beautiful outer appearance, need no painting and are a cheaper option as compared to Steel tanks. Nowadays people are shifting towards these PP Storage tanks due to cost considerations and good chemical resistance properties as well. Skid Mounted Tanks are storage tanks mounted on a Skid platform so that they can be transported easily on Truck/ Rail/ Ship. These Skid mounted tanks can be positioned vertically as well as horizontally because of the skid beams which can be used as legs. 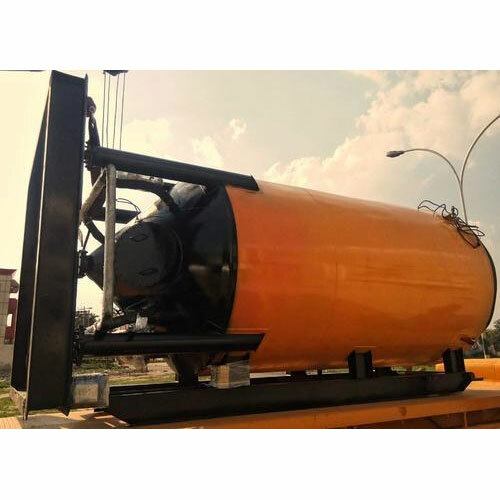 Skid Mounted tanks are being used nowadays because of the easy mobility and handling compared to the conventional tanks and provides structural strength as well. Bitumen Storage Tanks are used for storing hot bitumen used in Infrastructure projects and laying down roads. 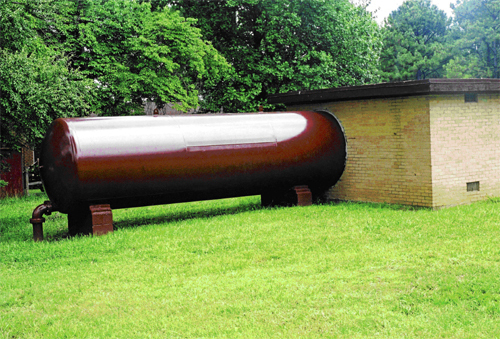 These Bitumen storage tanks are equipped with a central pipe running along the length of tank and fitted with a Burner on its mouth to heat the bitumen inside the tank to a molten state. For efficient heating and minimum temperature loss these bitumen tanks are insulated from outside by glasswool and aluminium sheet. Oil Storage Tanks are used for storing various types of Edible Oil like Refined Oils, Mustard Oil, Olive Oil, Coconut Oil, Soyabean Oil etc. Essential Oils can also be stored in these tanks like Sandalwood Oil, Eucalyptus Oil, Almond Oil, Teatree Oil, Clove Oil etc. These tanks are made in Stainless Steel 304/316 only as the oils are used for human consumption. 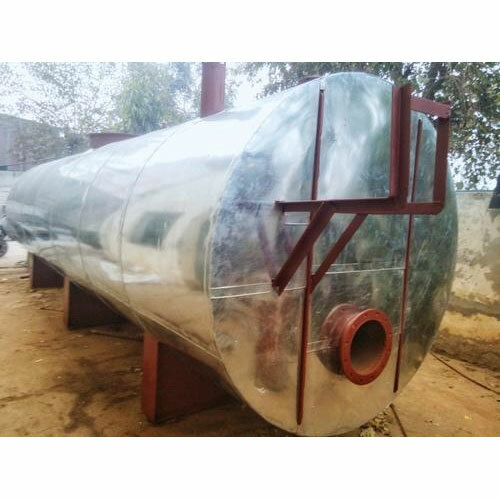 Oil Storage Tanks are also used for storing Non-Edible Oil like Petrol, Diesel, Furnace Oil, Lubricant Oils and for storing these oils Mild Steel is preferably used. 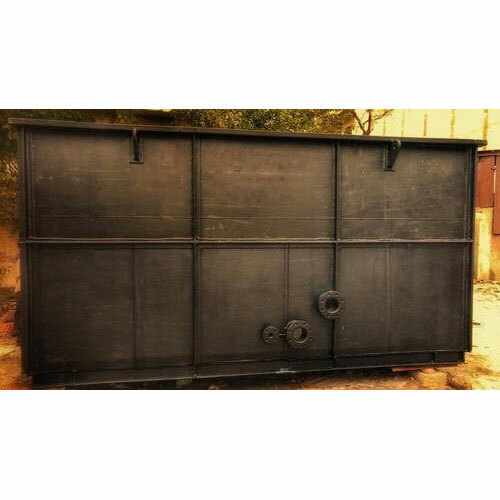 Rubber Lined Tanks are used for storing corrosive liquids like Acids, Alkalis, Chemicals, Adulterated Water etc. which have the tendency to corrode steel if there is no Rubber Lining inside the tank. 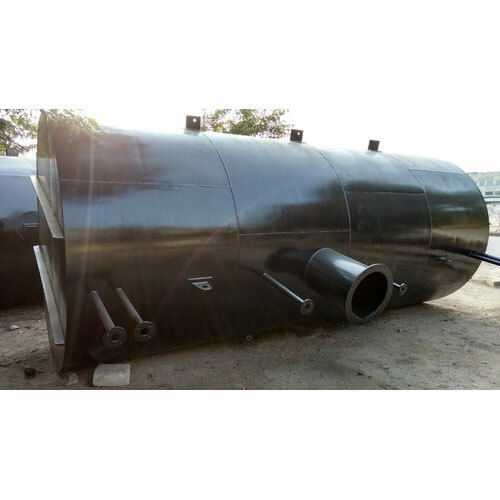 Rubber Lined Tanks are used in many Industries as well as Hotels & Housing Projects for Effluent Treatment Plants (ETP) and Sewage Treatment Plants (STP), Power Plants, Fertilizer Plants, Chemical Industries etc. Rubber Lining is done as a preventive measure against corrosion of vessels and equipments which are in contact with Acids, Alkalis, Chemicals, Water as these all have a highly corrosive nature. 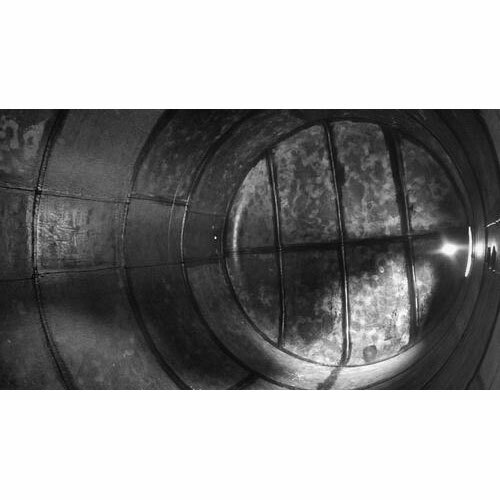 Rubber Lining of varying thickness is done inside and outside the tanks to prevent them from corroding thus increasing the life of the vessel before wearing out and Relined again after a few years. PP Lining (Polypropylene Lining) is done inside vessels and tanks to prevent them from the corrosive action of Acids and Chemicals stored in them. PP Lining is an alternative solution to Rubber Lining and FRP Lining which too are used as Anti-Corrosive Linings in tanks and vessels. PP Liners are also used on floors of rooms where acid and chemical tanks are kept to protect the floor from acid spillage. FRP Lining is done in storage tanks and pipelines to prevent them from corrosion due to the liquids stored in them which could be Acid, Alkali, Water. FRP Lining of various thickness as per the technical requirement of the customer is done which lasts upto years before it needs replacement. FRP lining is done on the outer side also to protect from the handling damages and weather conditions like heat, cold and rain. Acid Storage Tanks are used for storing various types of Acids like Hydrochloric Acid(HCl), Sulphuric Acid(H2SO4), Nitric Acid(HNO3), Acetic Acid(CH3COOH) etc. These acids are very corrosive in nature thus these Acid Storage Tanks are coated with Anti Corrosive Linings of Rubber, PP, FRP, Special Paint coats to protect from corrosive action of Acids. 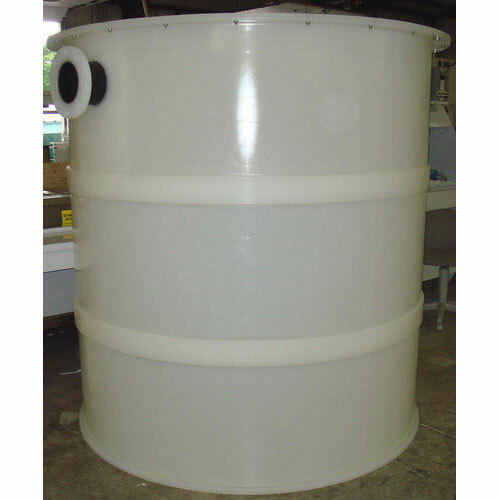 These tanks are installed in various industries involving use of Acids.